Chili is definitely a comfort food for me. The heartiness and spice really hit the spot and what I love best is that you can make chili from anything you have laying around really. Something about chili reminds me of being a little kid and my mom making her famous chili & corn chips dish. Nostalgic food is always a plus in my book. 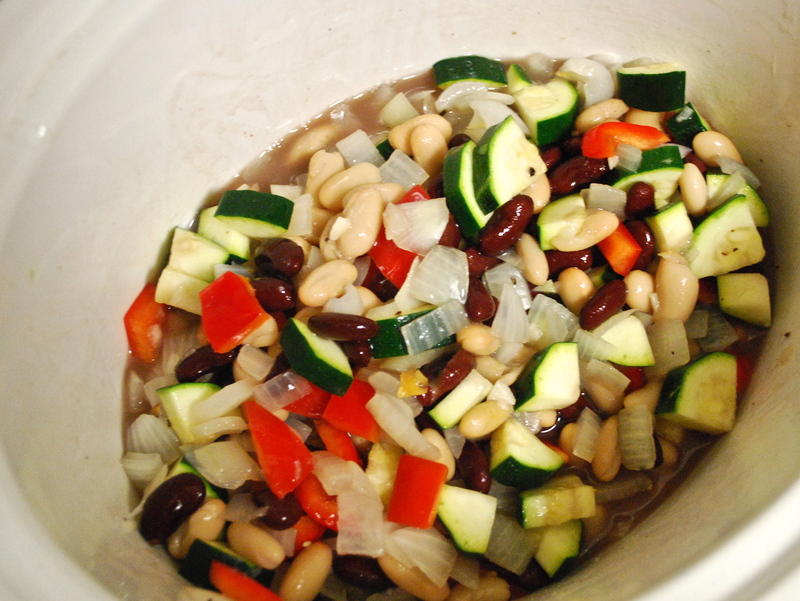 I happened to have a couple cans of beans, half a bell pepper and some soyrizo in my fridge so I figured I’d throw it all into the crock pot along with some other veggies I purchased and call it a chili. I mean, just look at how gorgeous those vegetables are together!! 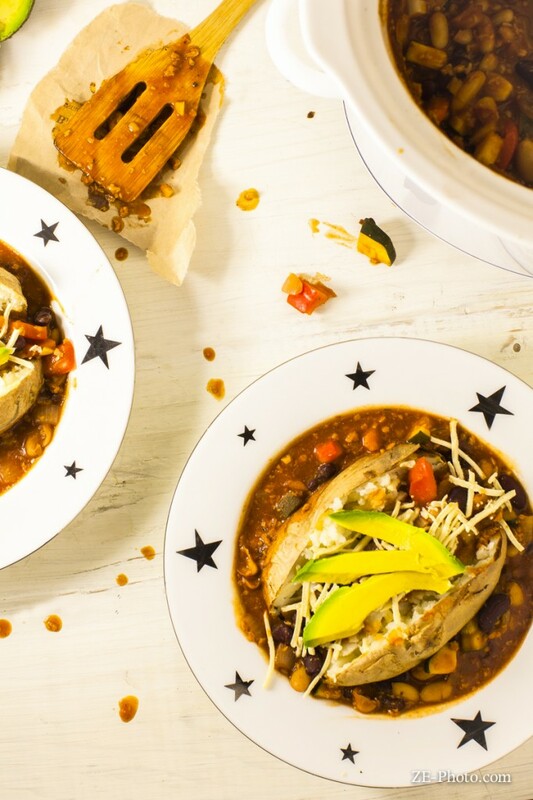 I’m forgoing the corn chips this particular occasion and opting instead to spoon my chili over a baked potato with some Daiya and avocado to top it off. Thank god for air conditioning, because it’s still hot as a mofo here and I may just be crazy for making such a warm dish. Now, this chili may look a bit pricey, but it makes a ton, so you can use it throughout the week (and it’s always better the next day). In the end it’s pretty cheap. I mean, can you imagine getting a bowl of chili in a restaurant for $1-2?? NOPE! What meal from your childhood do you like to veganize? ?